The simple, smart tailoring of this summer bike jacket make it perfect for throwing on when not on the bike too. The cowhide is still the 1.2 – 1.3mm thickness required to help protect your skin and the cotton-rich lining is present to further help reduce damage to the skin (as cotton won’t melt into the skin with friction like other materials can). 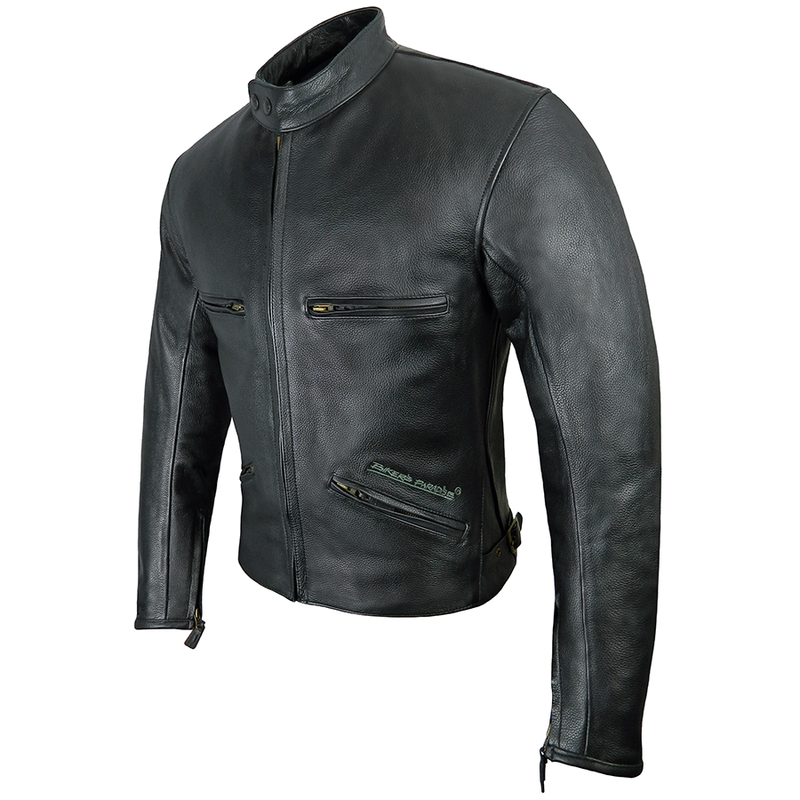 But our Retro leather jacket doesn’t have the thermal layer between the leather and lining like a lot of our other jackets making it a lighter weight alternative for warmer rides. Four external zipped pockets and two internal pockets (one zipped) for practical use. Quality YKK zips used on main zip fastening (with press studded mandarin collar), pockets and cuff zips. The cuff zips allow easy fitting of gloves while ensuring the cuffs remain snug around your wrists, reducing the risk of the sleeves riding up. Strong Nylon-bonded thread with double and internal stitching at vulnerable spots means this jacket is strongly held together. 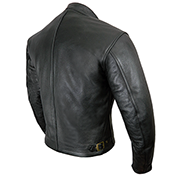 Want more from this unassuming leather jacket? You got it! It includes our unique and fully adjustable armour system. Viscotec CE memory armour is optional but if you go for it, the impact absorbent discreet and comfortable shoulder and elbow armour can be placed in the correct position for you. Don’t let the simplicity of this jackets looks deceive you into thinking it can’t offer everything you need for safe and comfortable summer riding. 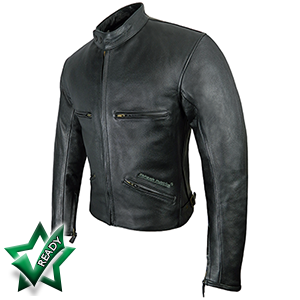 "Very well made and extremely comfortable to wear on and off the bike. 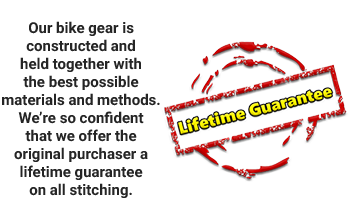 I think this company is BRILLIANT!” – David, Nairn. “As always a great product at a low price.” – Adam, Warrington. "Bought the brown version and liked it so much bought the black as well. 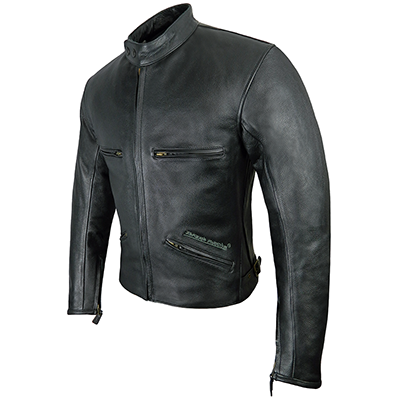 Absolutely brill work of art in leather, and at the best price as similar jacket companies are selling at £500+." - Neil, Stafford.